My last post had a photo of the 5 warp chains that I managed to prepare during my week of being stranded. 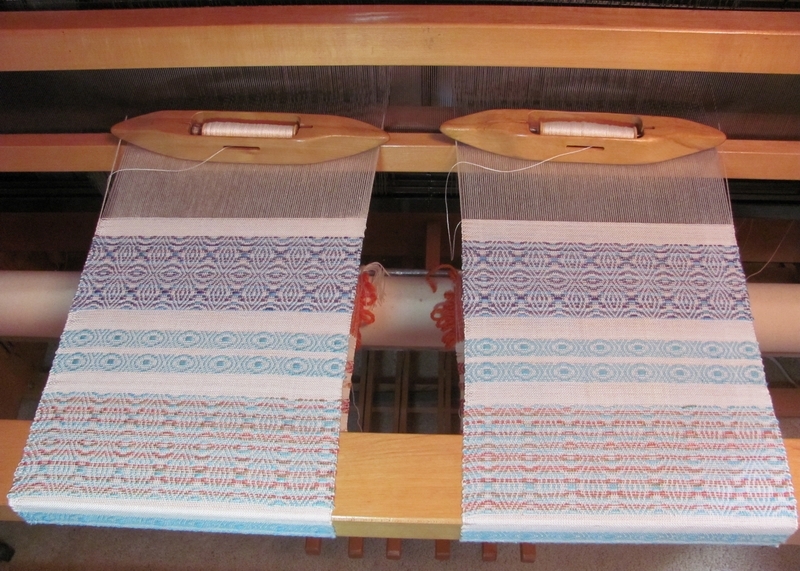 I was able to warp my Leclerc 4 harness floor loom with the turquoise warp. 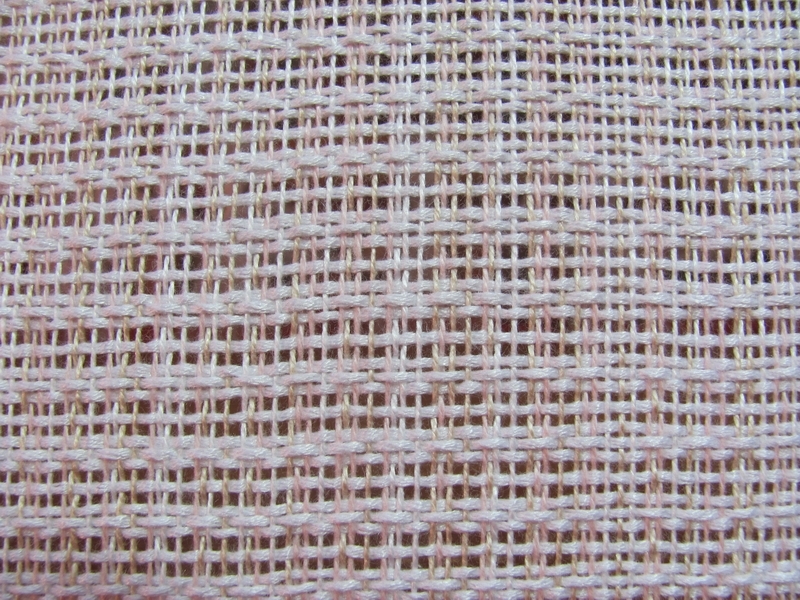 The weave structure is plain weave with warp floats of a bulky slubby cotton yarn. 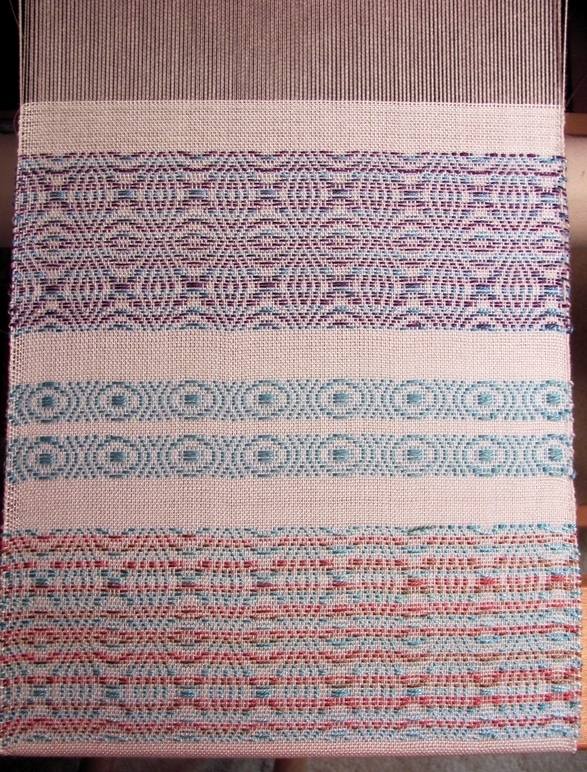 The warp is a 16/2 cotton that was gifted to me. I fell in love with the rich turquoise color of this yarn but while warping, several threads broke. Clearly this yarn was not strong enough to withstand a long warp. With a bit of tweaking and keeping a close eye on the brake while tensioning, I was able to wrestle control of this yarn. It was worth it. I used Bambu 7 (there it is again, I love the stuff!) 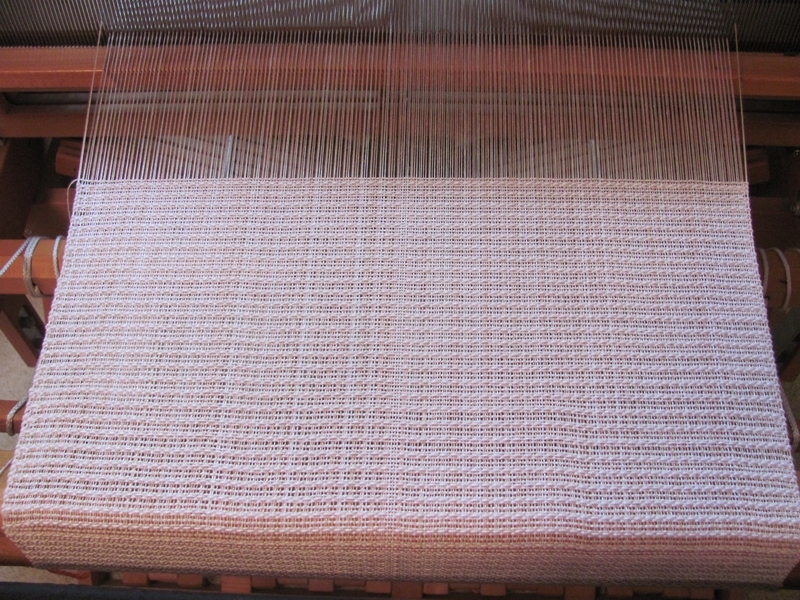 from Woodland Woolworks in the weft. Bamboo yarn is a bit slippery especially when using it as both warp and weft, but combined with another non-slippery yarn, it weaves easily, and provides a lovely drape. 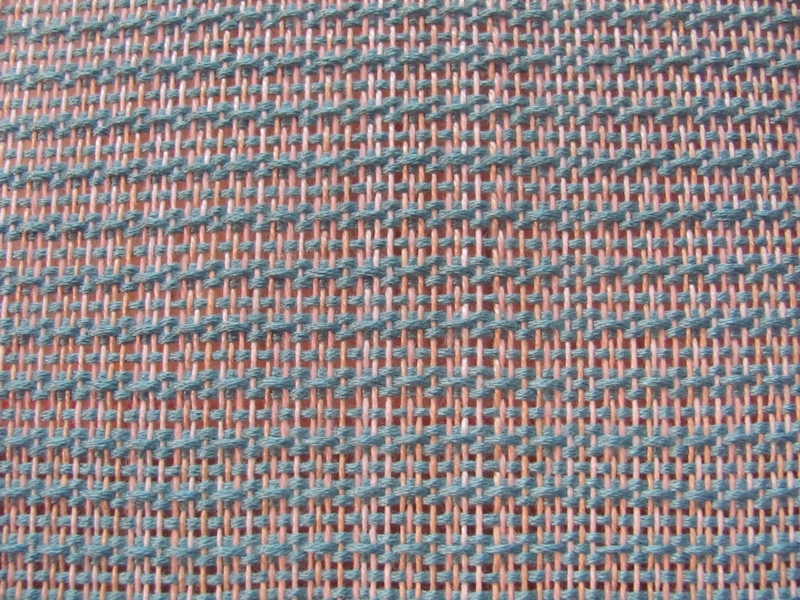 The warp floats of the slub cotton gives the scarf added texture and color. The bamboo weaves very quickly. 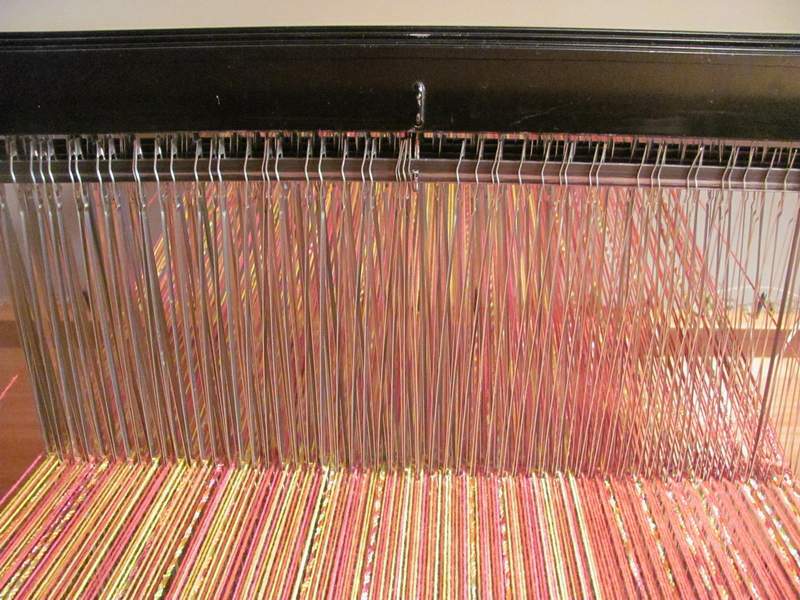 There is enough warp — 5 yards — to weave two 72″ long scarves with about 4″ of fringe at each end. These scarves will be the last projects I will complete before the “Celebration of Fine Craft”, a 3 day show and marketplace at Christian Brothers University in Memphis. 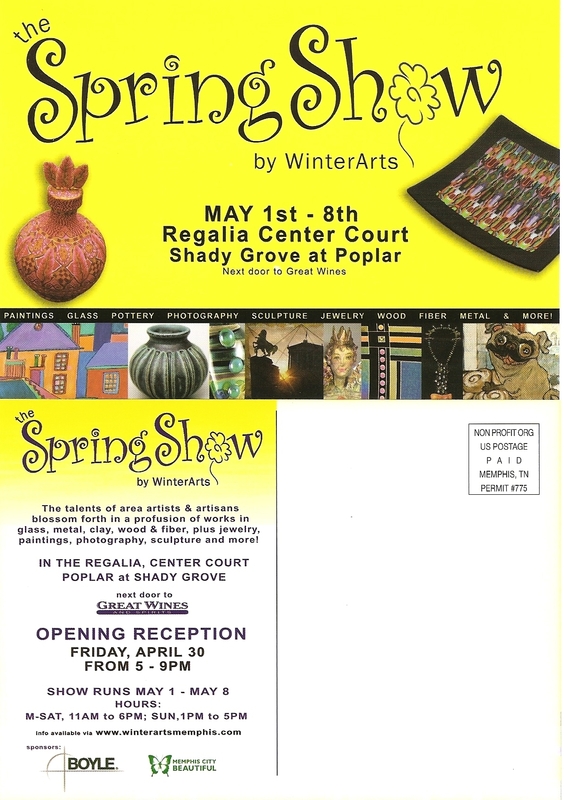 It takes place this Thursday, Friday and Saturday, April 17 – 19. The hours are 10 AM – 7:30 PM Friday including an opening reception beginning at 5:30, 9 AM – 6 PM Saturday, and 12 PM to 5 PM Sunday. Memphis Association of Craft Artists is partnering with the University to sponsor the fair with the intention of it becoming an annual tradition. 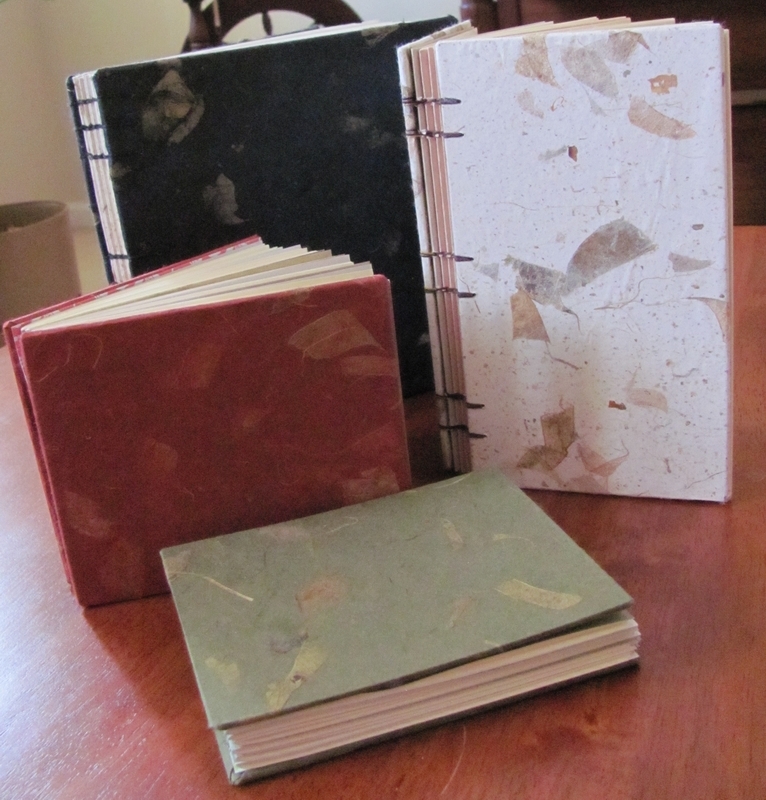 There will be over 35 local craft artists showing and selling their products. 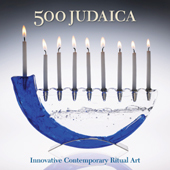 Media represented include pottery, jewelry, wood, fiber, clay and metal. I will be the only weaver there! The fine art students will be hosting a silent auction of fine craft items donated by the artists to benefit the Fine Art Department’s scholarship fund. And, look at this fine bottle of wine waiting for me. Love the graphics on the label! When my Volvo died some time ago, I inherited an ancient Ford Taurus from a family member. It was gold, and I dubbed it “the old man’s car”. So it was not a surprise that the Taurus took a vacation away from me and spent last week in the repair shop. 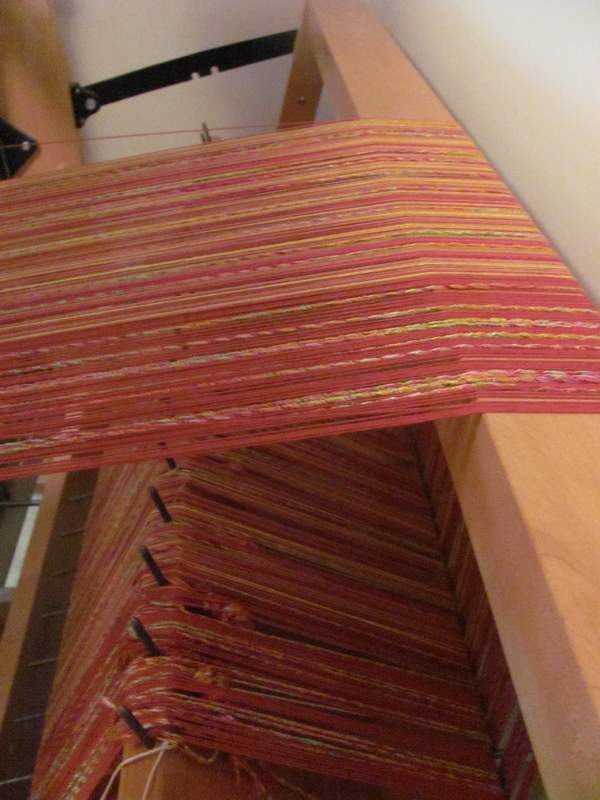 Being marooned in my home based weaving studio allowed me to prepare a number of warps in anticipation of weaving lightweight summer scarves. 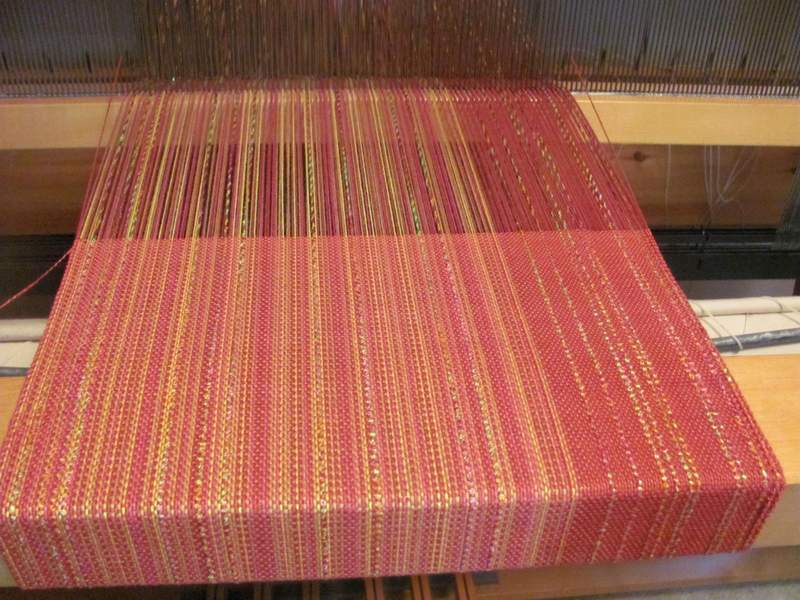 I was able to wind 5 warp chains of 5 yards each so that I could weave 2 scarves from each warp. 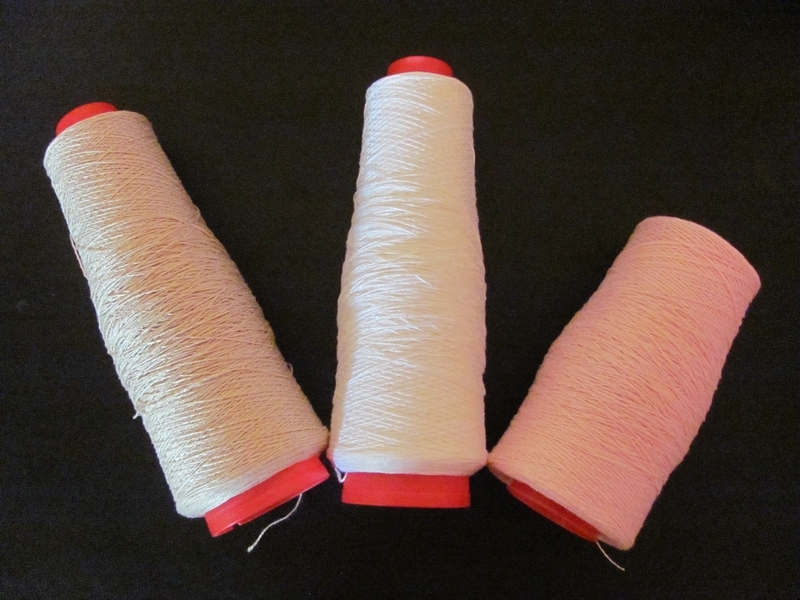 I use a warping reel to wind my warps. 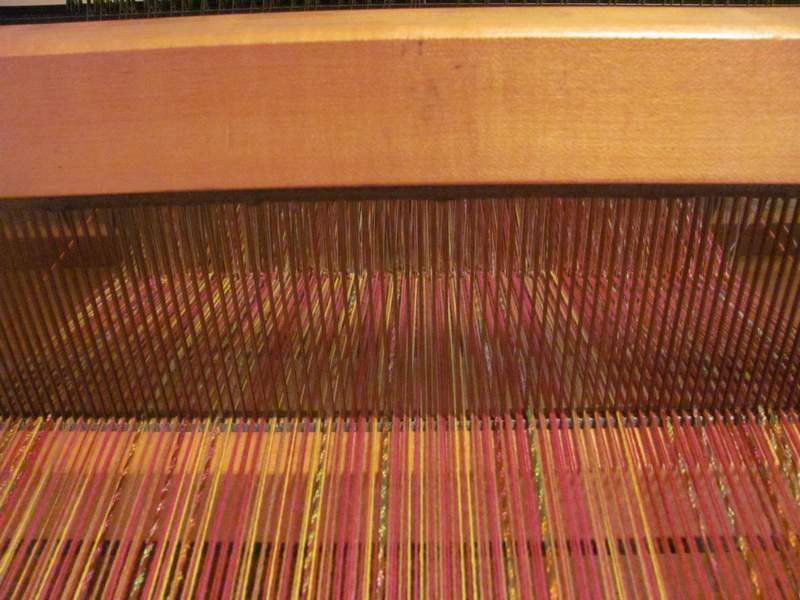 I find that it goes a lot quicker than using a warping board, and there is less of a chance for error. I also use “pony poppers” to wrap around the entire bundle of yarn before taking the warp off of the reel and before chaining. 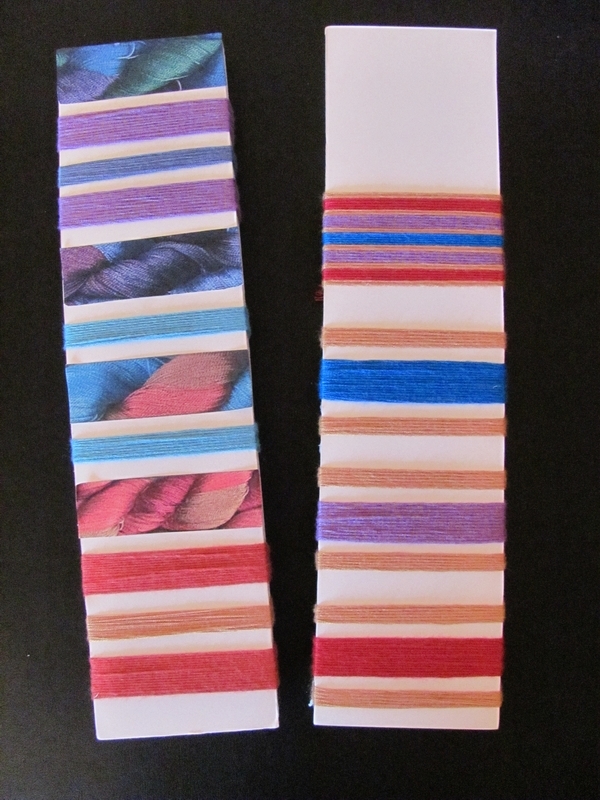 Pony poppers are hair accessories that look like elastic bands with 2 beads attached. They are used for holding pony tails for little girls. 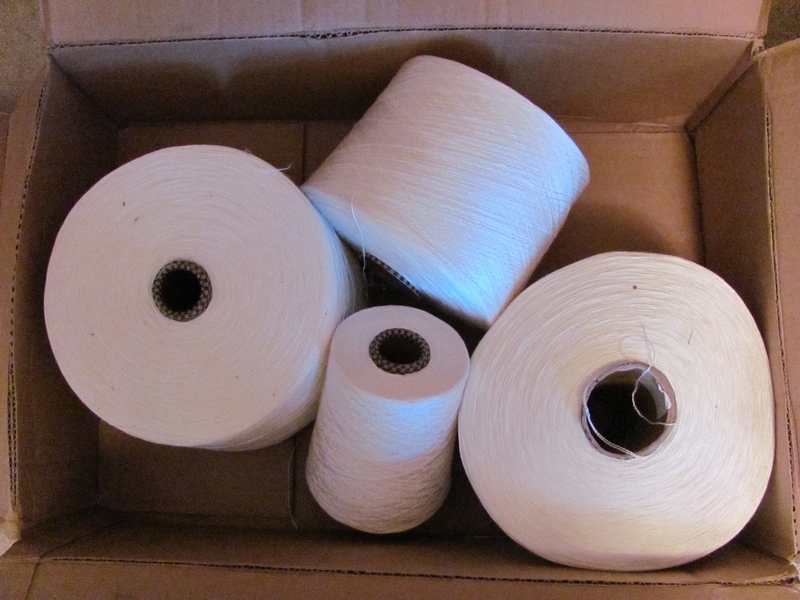 Pony poppers are a lot easier to use for securing a warp than cutting and tying a bunch of choke ties out of junk yarn. Definitely a time saver. 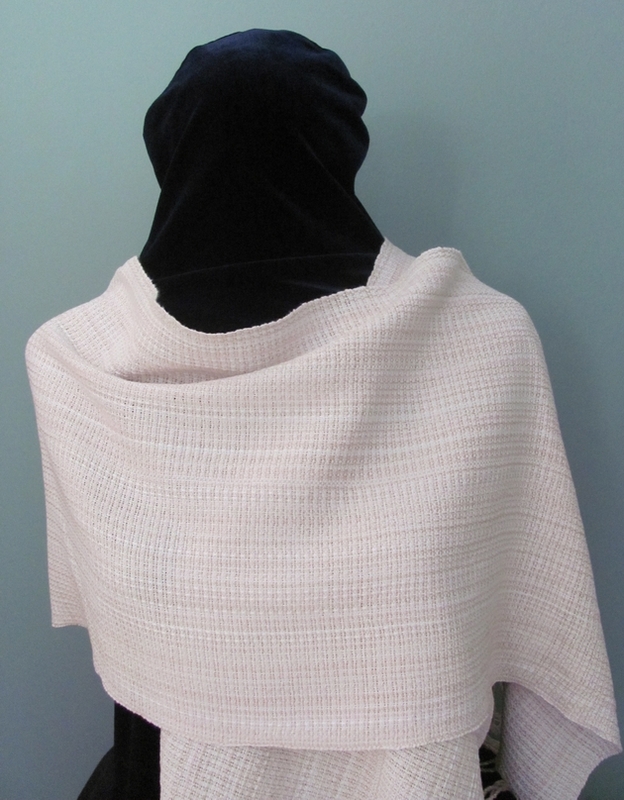 The scarves are wound from cotton, rayon or bambu yarns with a heavier cotton knitting yarn inserted every 1/2 inch in the warp. 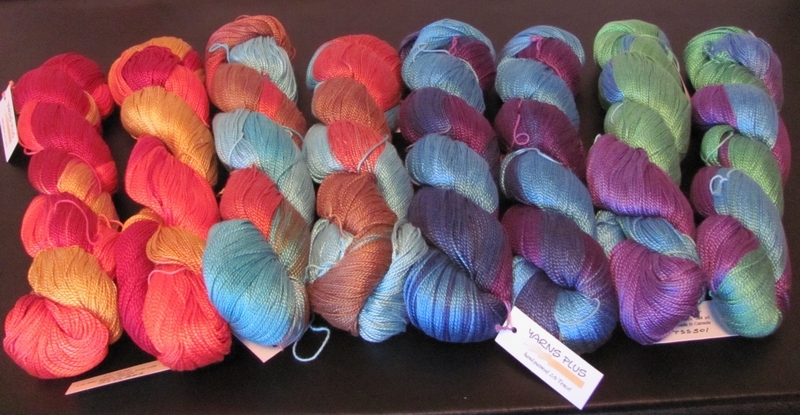 Those of you familiar with my previous posts, know that I am a fan of Bambu 7 yarn from Woodland Woolworks. 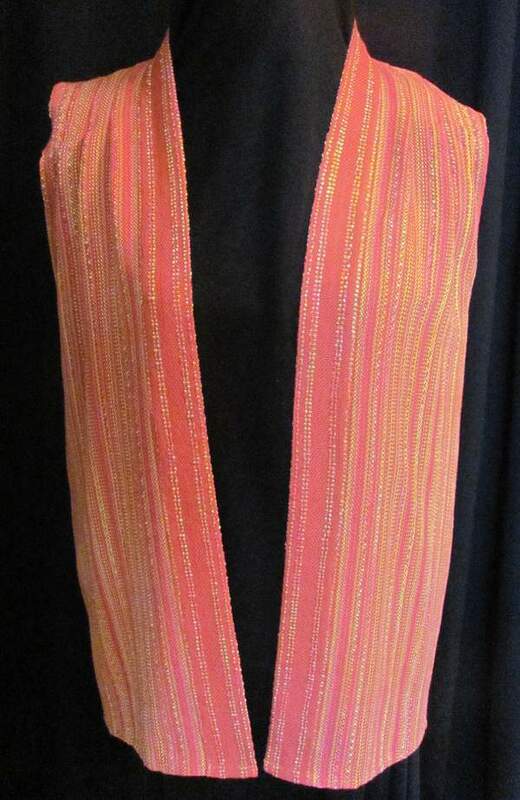 It is soft, lustrous and drapes beautifully. It is also available in different weights. These warp chains will eventually make their way to one of my multi-harness floor looms. 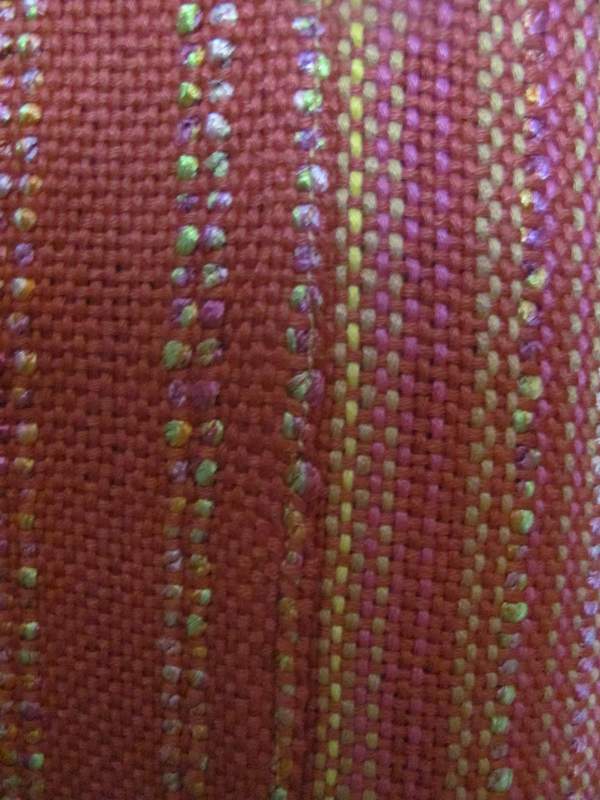 My plan is to weave lightweight scarves with the heavier knitting yarn providing some contrast in both color and texture. 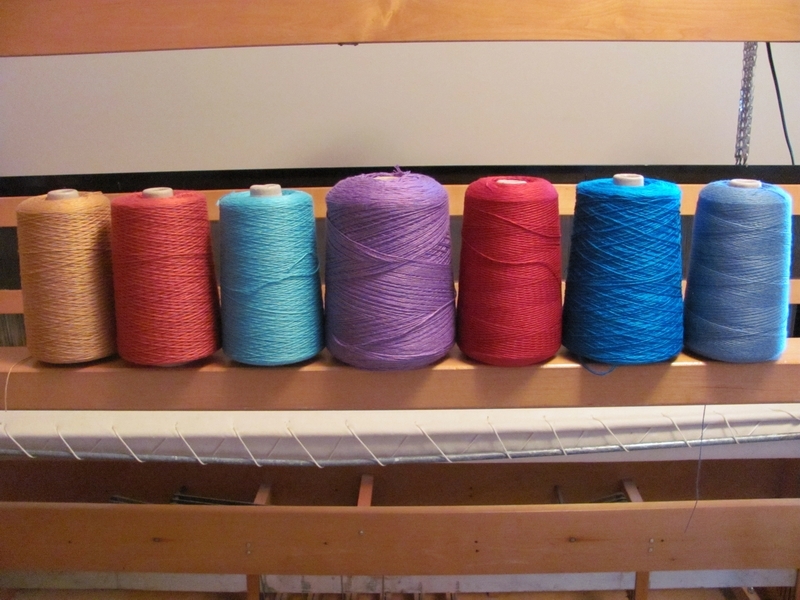 The bright turquoise cotton and bambu warp will be the first to go on my loom. 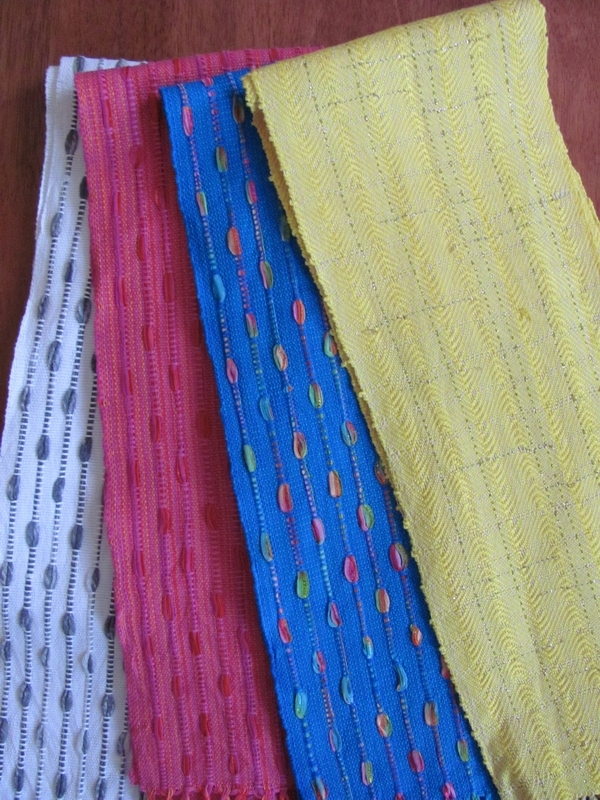 Stay tuned to follow the weaving progress of these scarves and possibly other tales of woe about the old man’s car!